The 2018 Tour de France will make a long stopover in Brittany, after two years of absence. Good news for lovers of Brittany and lovers of the little queen who will stay camping near Sarzeau, Lorient, Quimper, Brest, Mûr-de-Bretagne or Fougères ! During this 105th edition of the Grande Boucle, cyclists will have the chance to "visit" the four Breton departments during four demanding stages to say the least. 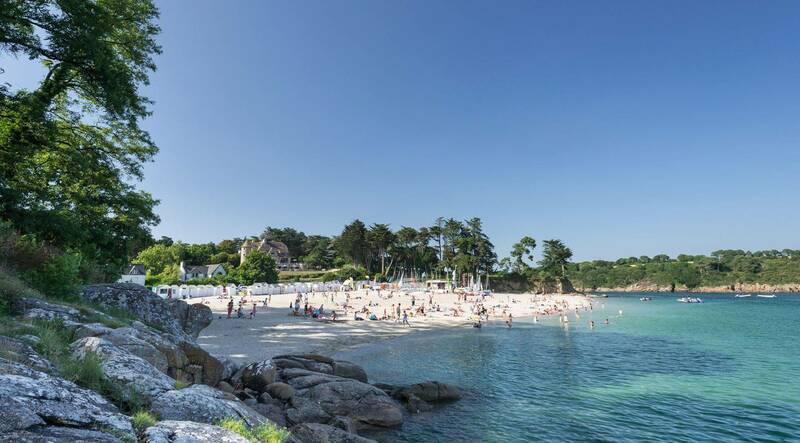 The stage of July 10th between La Baule and Sarzeau will announce the arrival of the riders in Brittany, in the heart of the magnificent peninsula of Rhuys. The next day, the peloton will leave Lorient in the direction of Quimper in South Finistère. The 12 July stage will take place between Brest and Mûr-de-Bretagne in the Côtes-d'Armor. The last Breton stage will start from Fougères, an ancient fortress-city at the gates of Brittany. After a few kilometers on the roads of Ille-et-Vilaine, the riders will leave our beautiful region to join Chartes, finish town of the stage. July 10, Stage 4: La Baule - Sarzeau For this 4th stage of the Tour, the circuit passes inland to Sarzeau, at the end of the Rhuys peninsula in the Gulf of Morbihan. An exceptional setting for the longest straight line of the 2018 Tour, 4 km which promises a royal sprint! July 11, Stage 5: Lorient - Quimper The peloton will leave Lorient, famous for its Interceltic Festival, to join Quimper in South Finistère. After Ploemeur, Guidel, Pont-Aven or Concarneau, the sportsmen will climb the Black Mountains before facing the cobblestones several centuries old of the small medieval city of Locronan. They will cross the finish line in Quimper, the capital of Cornouaille bretonne, famous for its earthenware, its quays and its Saint-Corentin cathedral. After ten years of waiting, Brest is once again a great stage start. The peloton will leave the coast of the Iroise Sea for the forests of Central Britain with an arrival at Mûr-de-Bretagne, near Lake Guerlédan. But before the "real" timed start, cyclists will cross the city of Ponant from north to south from the commercial port of Brest. A big party with maritime accents and many animations are planned in Brest throughout the day! The start of the 7th stage will be given to Fougères, famous to shelter the biggest medieval fortress of Europe ! During this stage tailored to sprinters, cyclists will say goodbye to Brittany by crossing Ille-et-Vilaine, then Sarthe, Orne and Eure-et-Loir before arriving in Chartres. Needless to say, during the Tour de France, the hotels, gites and guest rooms of the four Breton departments are taken by storm. The same goes for campsites in Brittany! It is better to book your mobile home, chalet, bungalow or camping-caravan site well in advance if you want to have a front row seat and experience the Tour de France in the heat of the moment! We hope that you will come in large numbers to encourage the runners and discover Brittany by camping!